REBEAT are Danish born Kevin Romerdal and Swedish born Rasmus Bergdahl. They started making music together at the tender age of 15, having both played drums from a young age and stemming from musical families. In 2012 they decided to work on electronic music that could represent the ‘true face’ of their rich musical culture and REBEAT was born. The duo have formulated their sound and found acclaimed success. Their sound enriches oriental accents, combined with modern electronic influences from the Netherlands and Germany to create a heavy hitting sound reminiscent of The Prodigy or Pendulum. The use of subtle yet gripping vocals over sparse melodic accompaniments have the ability to lift the listener, giving their sound an appeal outside of the traditional EDM realm before the bass crashes back down. 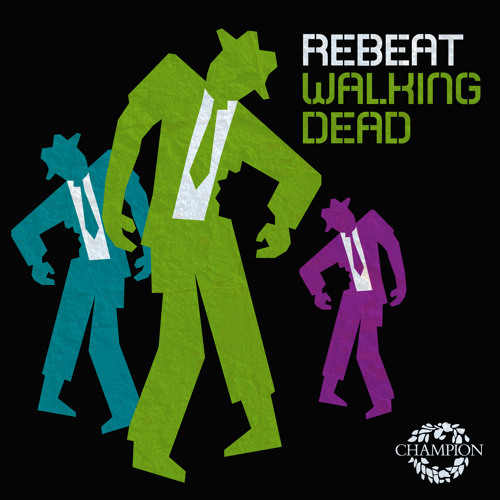 REBEAT’s recent offering, ‘Walking Dead’ has the stirring vocals of Matt Wong that brings an affirmed aspect of soul to the record. Swedish producer Steerner brings a soothing melodic rocky edge to the radio edit. This compliments the vocal incredibly and encompasses a well-defined level of prestige, flinging the listener into a wild ride. This track is seriously original and seriously hard hitting. The Future Funk Squad, who have recently remixed for the likes of Coldplay and Moby have put their stamp on the track. Their remix oozes with cool, reminiscent of early naughties breakbeat/garage. Their unique production brings a more chilled aspect in comparison to the original. This doesn’t take away from the low end sub that rolls and rumbles with the kick, appealing to the older crowd with integrity this pushes the record towards a new category altogether. The bass heavy Calvertron mix is gripping! Utilizing the energy that Drum and Bass gives he launches waves of bass that stretch, grow and shrink. Guaranteed to rattle and vibrate any set of speakers, it’s a pleasure to have this talent reunited with the label. Welcome back sir. Tannergaard’s remix packs a mighty punch. It opens utilising a cinematic landscape underneath the vocals that builds into an epic assault of synth stabs before it breaks down and repeats the process all over again. Guaranteed to lift the listener up and crash them back down in equal measure.